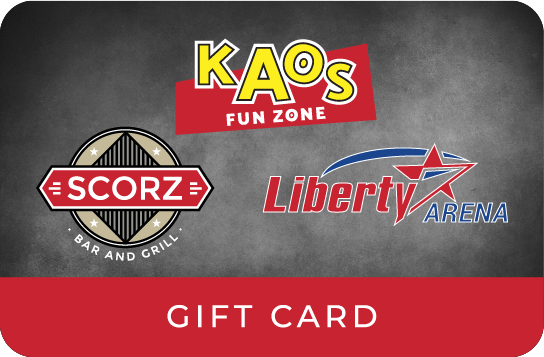 Gift cards for the Liberty Arena are good for more than just batting and pitching cages, turf time, and our state-of-the-art golf simulator. They are also accepted at Kaos Fun Zone for arcade play, bowling, trampoline jump tickets and laser tag. They are also good for great food at Scorz Bar and Grill.